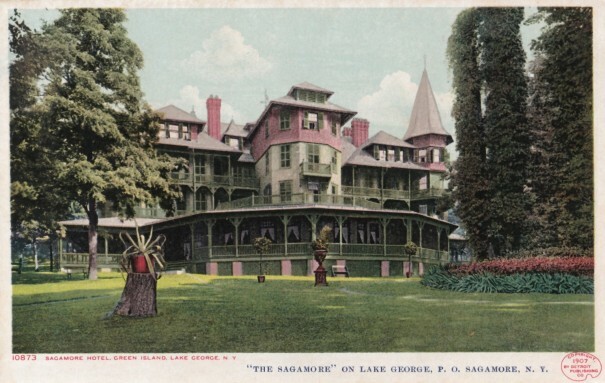 The Adirondack Mountains, and specifically Lake George and its immediate surroundings, had been inhabited by Native Americans for centuries prior to the arrival of the first Europeans in the mid-16oos. 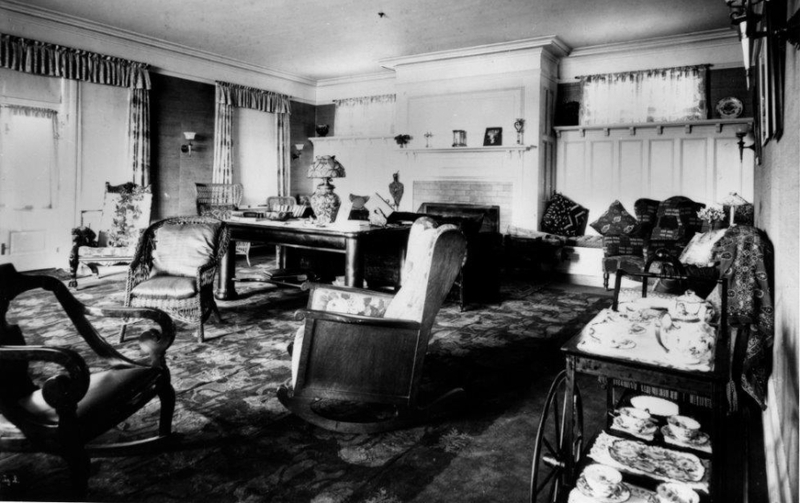 And in the years that followed, the region played host to many important battles both before and during the American Revolution, including the taking of Fort William Henry in 1757, which was depicted in James Fenimore Cooper’s book The Last of the Mohicans, as well as the capture of Fort Ticonderoga in 1775, which would provide the cannons and artillery later used by the Continental Army to battle the British at the Siege of Boston. 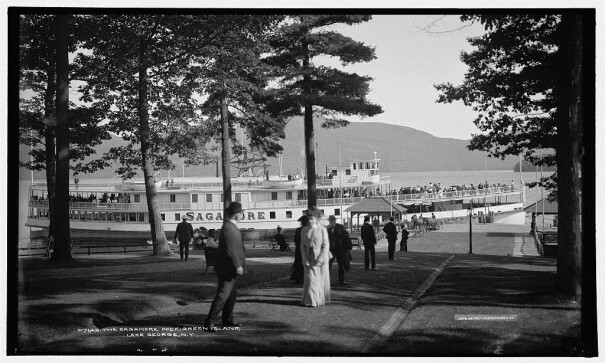 In the 100 years that followed the American Revolution, Lake George grew in popularity and became one of the preeminent destinations for the region’s wealthier families to spend their summers. By 1881, Myron O. 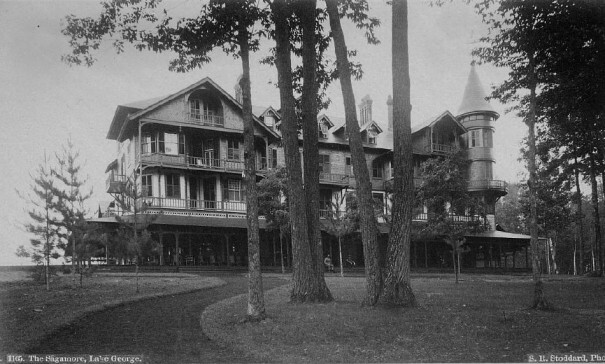 Brown, long-time proprietor of the Mohican House in Bolton Landing on the lake’s western shore, had been noticing this trend for several years and approached a group of his regular summer guests about establishing a grand hotel on nearby Green Island (above) that could accommodate the lake’s growing number of summering visitors. 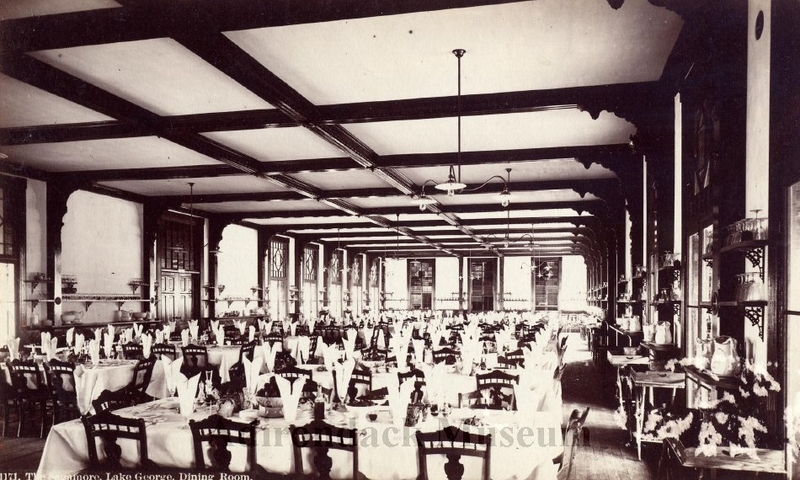 By the following year, Brown had recruited five investors and formed a group called the Green Island Improvement Company that was able to acquire the whole of Green Island for the lofty sum of $30,000, and construction began in the fall of 1882 on their new hotel. 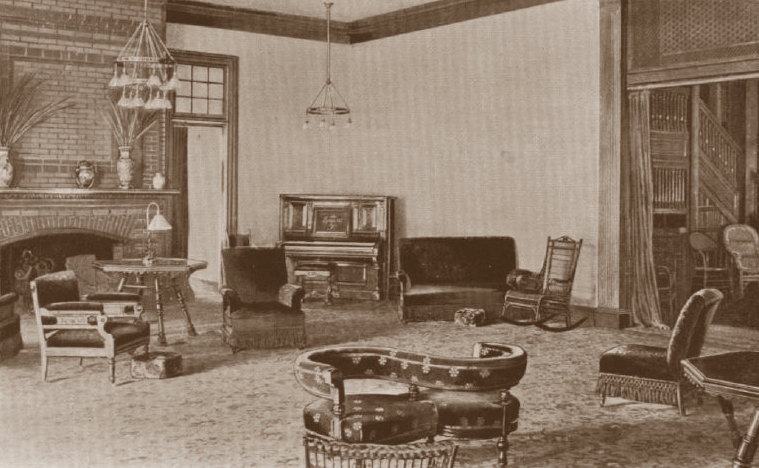 With three of the five investors hailing from Philadelphia, it came as no surprise that the Wilson Brothers, a prominent architectural firm also based in Philadelphia, were hired to design the hotel. It would be designed in the Queen Anne/Stick Style, a mode in which the Wilson Brothers firm were considered to be one of the best. 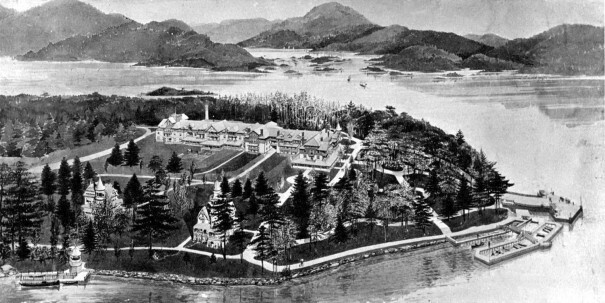 In choosing a name for this expansive and refined hotel, the investors felt it made sense to honor the history of the region and its Native American roots, naming it The Sagamore, meaning “respected chief” – a reference to the character Chingachgook from The Last of the Mohicans. 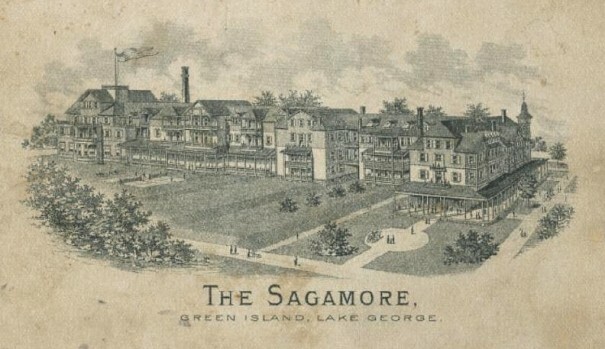 In the early morning hours of June 27, 1893, with approximately 150 guests and employees asleep in their rooms, a fire broke out in the laundry building, adjacent to the main hotel structure, that spread too quickly to contain, and in a single night, the mighty Sagamore burned to the ground. It was a sad time, not only for Myron Brown and his fellow investors, but for entire Lake George community as a whole, but fortunately, the grieving period would be short lived. 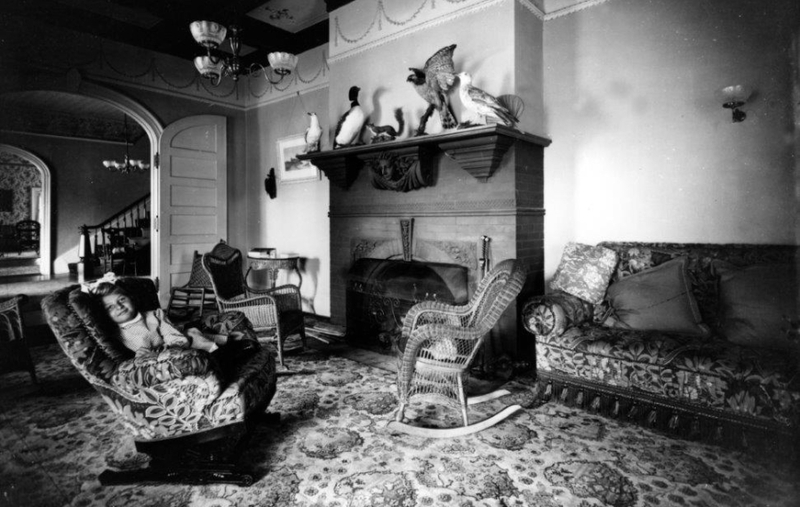 In the days and weeks that followed, Brown and the Green Island Improvement Company worked quickly to put plans together to rebuild. 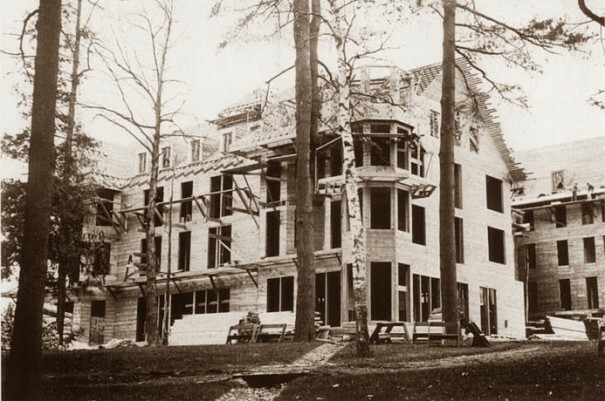 The Wilson Brothers architectural firm was again called upon to design the new structure, and by early August, just five weeks after the fire, construction was underway with a team of ninety men. 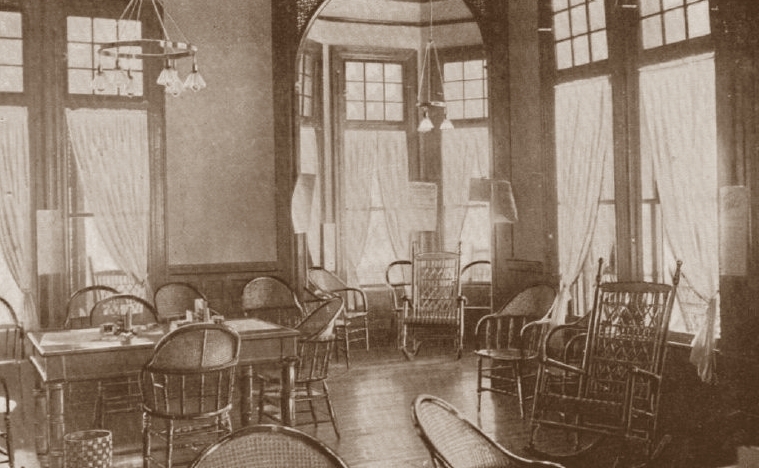 To expedite construction, the new hotel was built on the foundation of its predecessor, meaning that the footprint of the building remained nearly identical, but there were changes to many of the exterior details. 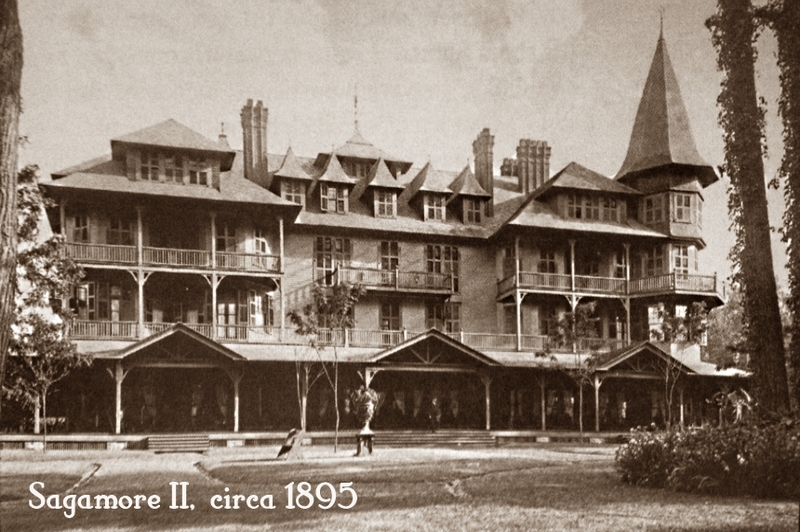 The most notable of which was that the hotel’s signature turret, which had originally been round, would now be octagonal, and the dormers and gables along the rooflines were redesigned (see above, images courtesy of the Adirondack Museum). 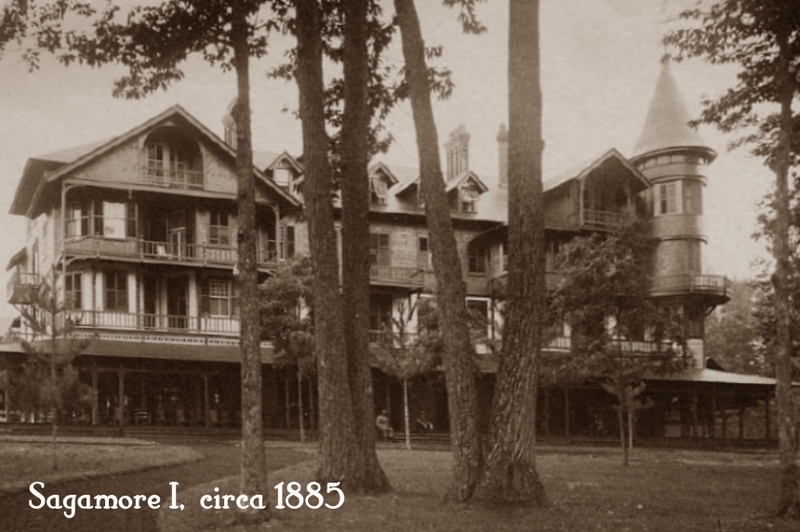 Amazingly, on June 26, 1894 – one day shy of exactly one year from when the original Sagamore had burned to the ground – the Sagamore II opened with well-received fanfare. 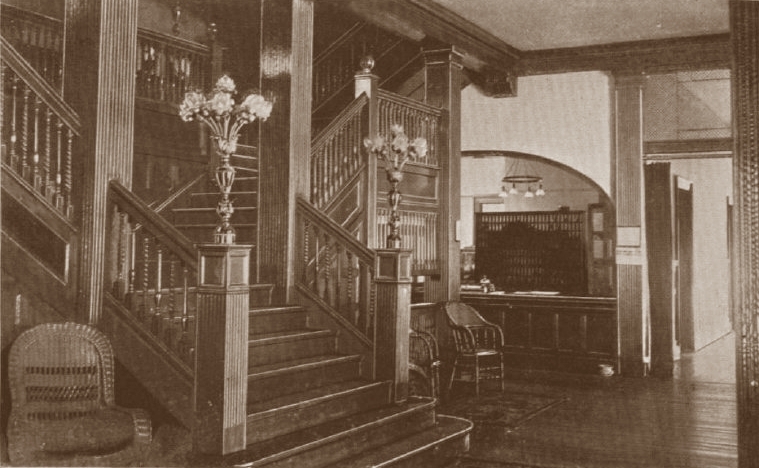 As its predecessor had, the hotel again boasted of electric lighting throughout, but now there would be more guest rooms featuring en suite bathrooms and private balconies, as well as sophisticated furnishings, and additional amusements of golf, tennis, and horseback riding were offered for guests to take part in during their stay. Myron Brown remained on as manager until 1905, when the hotel was leased to C. Allen Linsley, previously of the Hampton Terrace Hotel in North Augusta, Georgia. 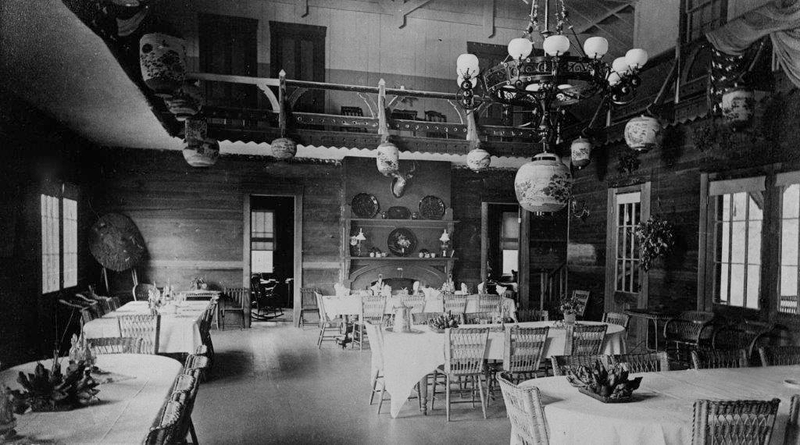 Under Linsley, a new welcoming “bow” shaped porch with three floors of new rooms above it was added to the south elevation to formally greet guests arriving via steamboat (below). 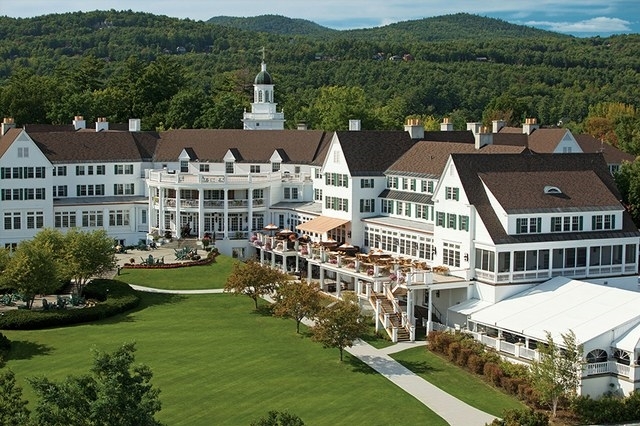 The Sagamore continued to prosper over the next decade, with occupancy consistently at or near capacity throughout the summer. But sadly in 1914, tragedy would once again strike. 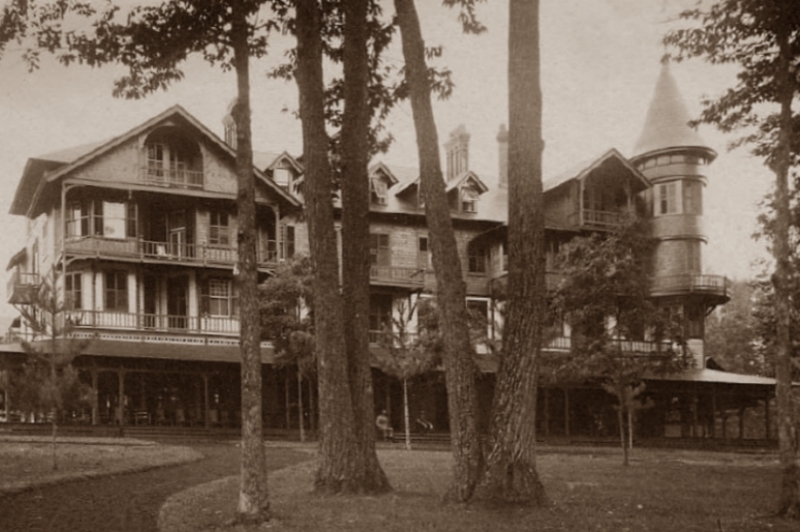 On April 12, seven weeks before the season’s official opening, the Sagamore II, and all of its contents, burned to the ground. 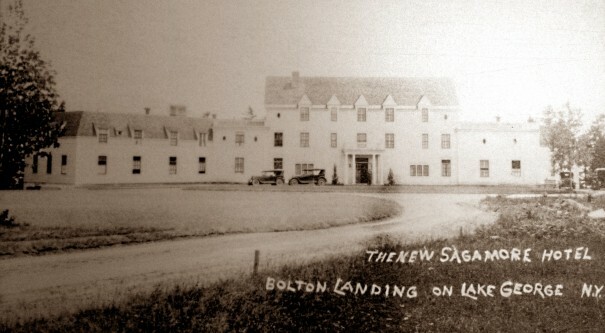 The cause of the blaze was never officially determined, but due to the fact that it was the off-season and that there were relatively few people on the property at the time, arson was suspected.